How did you come to start the blog? What kind of interests fed into it? I stated the blog in early 2007. The name came from a byline on a poster for ‘The Last Days of Disco’ - at the time I was unaware of the 1930s film, History is Made at Night. The origins of it go back to the mid-1990s, when I first started writing about the history of dance music scenes – for a while I had a column in Mixmag on this called Back in the Day, and I also had stuff published in Eternity and Alien Underground zines. I guess every generation thinks they are the first to discover staying up all night dancing, but I was and am fascinated by how people have been doing this for centuries. The blog also has its roots in the 1990s free party scene, in particular Dead By Dawn techno/speedcore night at the 121 Centre in Brixton. There was a scene of people around it who were thinking and writing about the political/social implications of electronic dance music, with zines like Technet and Alien Underground. So the blog is very much my expression of an ongoing collective project. I still write for Datacide, which also emerged from that same milieu. The blog's described as being about "The Politics of Dancing and Musicking" - how do you feel dancing and (radical) politics intersect? In a negative sense, dancing has always been subject to political regulation. As I said at the beginning of the blog there have been ‘rules about when, where and how they can move, rules about who is allowed to dance with who, rules about what dancers can wear and put inside their bodies…’. Resistance to this regulation has been politically significant, from the 1969 Stonewall riots to the 1990s movement against the ‘anti-rave’ Criminal Justice Act and beyond. In a positive/constitutive sense, dancing affirms community and can create new social relations between those involved. I took part in Reclaim the Streets, when the fusing of sound systems and protest was taken to a new level in the UK. In more recent movements, such as the student protests of 2010-11, we’ve also seen how sound systems can help fuse together isolated individuals into a social force. I suppose the focus of the blog is less on the music as such than on what happens when people come together around a music. So although I am not a massive jazz fan, I am very interested in the 1940s/50s London jazz scene as it prefigures later bohemian counter-cultures and indeed as far as I know gave birth to the word ‘ravers’! My personal musical involvements have ranged from anarcho-punk, to house and techno, to playing in pub folk sessions. In starting HIMAN I was partly prompted by that wave of music blogs such as Blissblog and Uncarved (the latter’s John Eden is somebody else I first met through that Dead by Dawn scene). Obviously people’s focus shift sfor various reasons, some of that first generation of music bloggers used their profile to move on into publishing books and articles etc. It’s obviously true that the time I have spent blogging could have been put to use in writing several books, but maybe that desire to monumentalise your writing in an object that sits on your shelves is anachronistic – though I am not averse to it. Actually I have been talking to somebody about publishing a History is Made at Night book, but we shall see. What I still like about blogging is its immediacy - the ability to respond to things in real time. And the fact that unlike with Twitter, you have the space to do more than just express a quick opinion. The blog goes up and down in terms of the time I can put into it, what keeps it going is that every so often something comes along that make its concerns seem particularly relevant – such as the Form 696 row about policing grime events. Also when people express an interest in it I feel guilty that I haven’t posted for a while and am stung into a burst of action! I also wanted to ask about the Transpontine blog. What do you feel distinguishes South London as a place, especially musically? If you start exploring the history of music scenes you can’t help but be struck how certain locations recur as important over the decades (e.g. Soho). As I live in South East London, I’ve tried to document this in relation to my own area at another blog, Transpontine. Deptford and New Cross for instance have been important at various times for reggae sound systems, punk and other scenes. I don’t think it’s necessary to fall back on a supernatural spirit of place to explain this, as Peter Ackroyd sometimes seems to – there are material processes at work. Partly it’s about the mix of people created by migration, location of colleges etc. Partly it’s about them having space to practice and perform – so you need a combination of plentiful/cheap rehearsal studios and pubs, clubs and other venues. As with art scenes, music is sometimes valorised for its contribution to creating a ‘buzz’ for regeneration, but the same process of rising property values threatens to undermine its infrastructure as pubs and ex-industrial buildings get converted to flats. 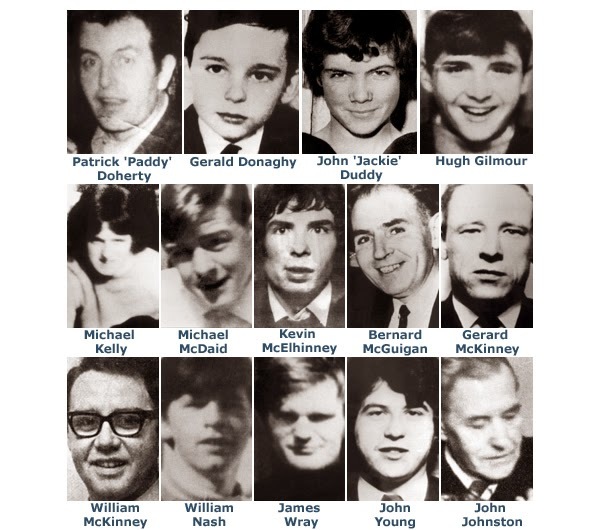 Grew up reading about the late 1960s and early 1970s, all those heroic struggles of resistance and repression.They seemed like ancient history to me as a teenager but actually were only 10-15 years away, a time period that seems like yesterday to me today. Now I'm older but not necessarily wiser I like to think I'm less caught up in the historical romance of great events and when I read about Kent State, or the Panthers, or Bloody Sunday, what I see are just kids, cut down by the state (in this case the US and British states), leaving behind grieving friends and families. 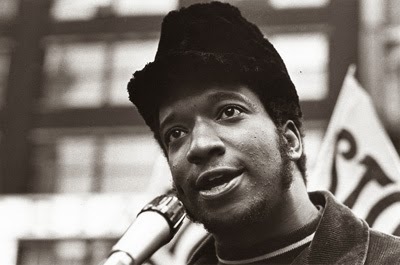 Fred Hampton of the Black Panther Party, killed by Chicago police in 1969 - aged 21 (referenced by Jay Z in the line 'I arrived on the day Fred Hampton died' in 'Murder by Excellence' - Jay Z was born on that day, 4 December 1969). 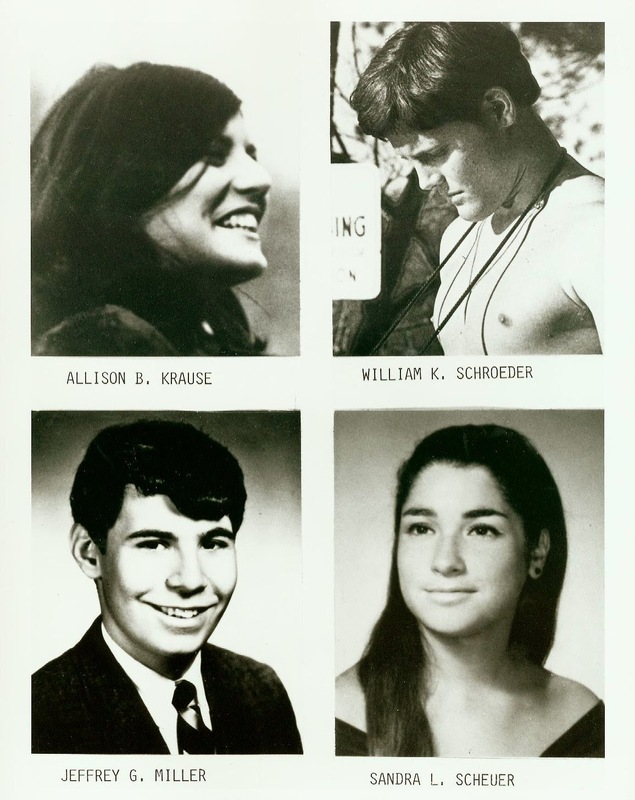 Jeffrey Glenn Miller (age 20), Allison B. Krause (age 19), William Knox Schroeder (age 19),Sandra Lee Scheuer (age 20) - killed by the Ohio National Guard at Kent State University, May 1970. 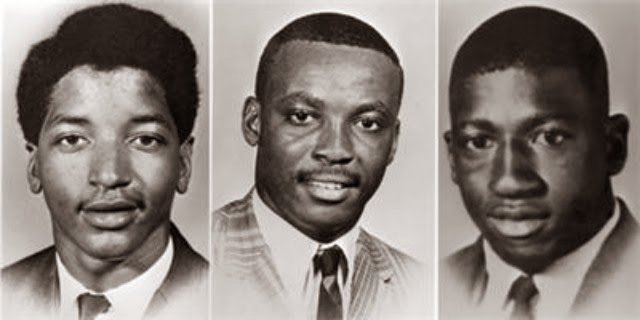 Henry Smith (19), Samuel Hammond (aged 18) Delano Middleton (aged 17) - shot dead by South Carolina Highway Patrol during an anti-racist protest in Orangeburg, February 1968. 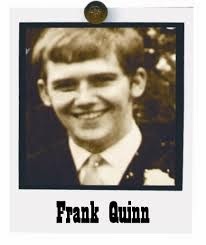 Frank Quinn, killed during a British Army operation in Belfast in 1971 ('the Ballymurphy Massacre') - aged 19. I can't even find a picture on line of Kevin Gately, aged 20, killed in an anti-fascist demonstration in Red Lion Square, London in 1972. Good to see Neil Young is keeping the memory of Kent State alive, still singing 'Ohio' more than forty years after he wrote it in the immediate aftermath of the killings.